Uruguay or Bolivia: which country is more expensive? 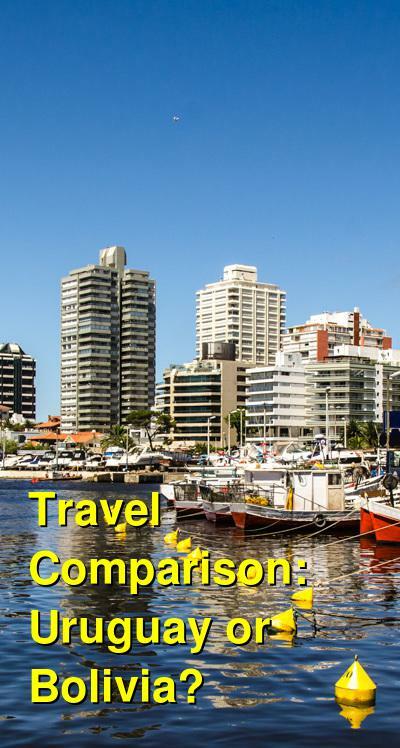 This comparison of travel costs between Bolivia and Uruguay examines average prices across multiple categories. Please visit each country's individual budget page for more detailed information. Should you visit Uruguay or Bolivia? Uruguay is much smaller than the rest of the Spanish speaking countries in South America. Many travellers ignore it and prefer to visit more popular destinations. Yet after two centuries living in the shadow of its neighbors, Uruguay is finally getting a little well-deserved recognition. Whether it is in Punta del Este or other satellite towns such as La Barra, Manantiales and Jose Ignacio, Uruguay's summer scene is about the beach. The beach destinations along the country's Atlantic coast are simply marvelous. However Uruguay also offers many other outdoors activities in its underpopulated landscape. From taking on the waves at Punta del Diablo, trekking with gauchos in Tacuarembo to kitesurfing at Laguna Garzon or hot air ballooning over vineyards, Uruguay's outdoor is opened to you and you might even end up being the only one there! Thanks to Uruguayans' relaxed attitude toward life, Montevideo is a very chilled-out capital. Montevideo is a combination of colonial architecture, low-rise skyscrapers and 15 miles of beach-side rambla. Still wonder why it is home to about half the country's population? Even though the walkable city has a very sedated pace, it contains many great attractions to keep you busy, including picturesque Ciudad Vieja and Barrio Sur neighborhoods and the fun if sometimes overrun Mercado del Puerto market. As a prime beef exporter and consumer, Uruguayans take barbecues just as seriously as their Argentine neighbors. Expect to eat enormous amounts of tasty meat! Uruguay's Carnaval is also great fun! The two-month celebration, which starts mid-January, is largely based on candombe, dance and rhythms devised by African slaves in the 19th century. Drumming and energetic dancing are at the heart of every street party, a more grassroots affair than its Brazilian cousin. Visit Colonia del Sacramento and its Havana-esque ambiance that will take you back to the 1680's when it was founded by the Portuguese. This sleepy riverside town is one of Uruguay's oldest and has managed to preserve its 17th-century convent, lighthouse and drawbridge in the UNESCO-protected Barrio Historico. Another of the many laid-back town of Uruguay is Carmelo, which takes relaxing to a heightened level of chic. Located upriver and surrounded by vineyards and olive groves, visitors are entertained by water sports, golf, horse racing and polo. The reasons to visit Bolivia are also abundant. While it's true that much of Bolivia isn't set up for tourism, those willing to go on this less traveled adventure are rewarded with eye-opening experiences, breathtaking activities, and stunning photo opportunities, not to mention fabulous stories to tell back home. On thing Uruguay and Bolivia have in common is that friendliness in both countries is reciprocal. Despite the widespread poverty in Bolivia, there is a amazing energy from locals eager to share the beauty of their country. In Uruguay and Bolivia, gracious hospitality and warm smiles are given to tourists who show respect, consideration and a genuine interest toward the local way of life. Contrary to what you may have heard, Bolivian food does not only consist in rice and beans but include meat, corn, eggs, potatoes and the "superfood" quinoa, one of the most commonly used ingredients in Bolivian cooking. Traditional dishes come from a mixture of Spanish cuisine and indigenous ingredients and include a lot of spice. On the contrary to Uruguay, Bolivia is a country of extremes. From freezing cold snowy mountain peaks to sweltering hot amazon lowlands, the country has a great array of climates and cultures, attractions and adventures. With its high altitude cities and glistening lakeside villages, Bolivia's landscapes are incredibly diverse. From spectacular dusty red mountains and beautiful lakes to the dense Amazon jungle or the stunning Salar de Uyuni, Bolivia's transcendent scenery is breathtaking at every turn. This makes Bolivia one of the most bio-diverse countries on the planet and has about thousands of species of birds, animals, fish, reptiles and amphibians, which travelers can encounter during their trip if they pay attention. Bolivia is also a budget traveler's paradise that offers the best value for money in South America. You can eat well, sleep comfortably, purchase souvenirs and experience many of the activities and tours on offer without having to worry about money. Steeped in history and with indigenous culture everywhere, Bolivia will not disappoint you. The country's ability to combine a modern lifestyle with traditional values is truly wonderful. Ancient Andean customs are still practiced by many indigenous Bolivians who wear traditional dress and use natural remedies to treat illnesses. Catching a glimpse of the 36 indigenous cultures present in Bolivia, each with their own customs and most with their own languages, really makes an impression.. Finally, from the spiritual and traditional, to the more wild and westernized, Bolivia's festivals are unique, colorful and fun. If you can, travel to Bolivia during the Oruro Carnaval, a fantastic experience for any fun loving traveler. When is the best time to visit Uruguay and Bolivia? The best time to travel to Uruguay, especially if you plan to visit its coastal areas is during its summer months between November and February. While, travel is possible year-round, many of the beach resorts are closed for much of the year as soon as summer slips into autumn. If you decide to travel outside of summer, focus your trip on more cultural sites and cities. January and February are the warmest and driest time of the year to visit Uruguay so make sure to book very early to get the best choice of hotels on the beach without paying an astronomical amount. By March, most of the crowd has left Uruguay's beaches and much of the coastal infrastructure remains open, giving travellers access to vast quiet stretches of sand and ocean. Although autumn has started, the sea around Uruguay is generally at its warmest in April and May, making this a good time to visit the beaches and go snorkeling offshore. There are very few visitors in winter, from June to September, which doesn't necessarily make it a bad times to travel; particularly if the focus of a trip is more cultural or if you want to spot southern right whales. Visiting Montevideo and some of the small surrounding towns can be enjoyable experiences year-round. As Spring arrives towards the end of October, so does visitors on some of the country's beaches. Visiting Uruguay in November is particularly lovely. Montevideo is pleasantly warm and the beaches are quieter than in December, when holidaying Brazilians and Argentinians fill up Uruguay's beaches and hotel prices shoot up; particularly over Christmas and New Year. Consisting of temperate valleys, semi-arid highlands, humid jungles and balmy villages, Bolivia's weather differs greatly depending on the altitude and topography of the region. Because most of the country is situated at a high elevation, temperatures vary from hot and humid during the day to freezing cold at night. Although Bolivia is a country of climatic extremes, it is a destination that can be visited all year-round. Bolivia's temperatures are determined by the altitude as well as the season, with highland areas such as La Paz, Lake Titicaca, Potosi and Uyuni generally cool year round, extremely cold at night and with strong sunshine in the dry season, making high factor sunscreen essential. The ideal time to visit Bolivia depends on the sights you want to see, the tours you would like to experience, and the mode of transport you intend to travel. The eastern lowlands, including Santa Cruz and the Amazon, enjoy warm temperatures year round. The best time to visit the highland areas is from April to October, with June to September being the peak time for visitors, meaning that you should plan well in advance to get the best choice of accommodation. While it is the cooler winter period, it should be dry with plenty of sunshine. Bolivia's dry season is the most popular time of the year to travel, as road travel is easier and the bright sunny conditions mean you can photograph the salt flats and Lake Titicaca against dazzling blue skies. For those wanting to experience the "largest mirror on earth", visiting Salar de Uyuni between March and April will increase your chances of seeing the natural phenomena. Visiting Bolivia in November to March is still perfectly enjoyable for the more adventurous who don't mind occasional delays as roads can be disrupted due to heavy rains. The lower visitor numbers are also a bonus of visiting Bolivia at this time. As the rain season begins, temperatures become a little milder in the highlands and more humid in the lowlands. Why is Uruguay more expensive than Bolivia? Uruguay is very expensive compared to Bolivia. The trendy resorts on the Uruguayan Atlantic coast, such as Punta del Este and Jose Ignacio are stunning but the prices are eye-wateringly high. These places are aimed at the local and international celebrities who vacation there, not backpackers on a tight budget. Make no mistake; prices in Uruguay are close to 'Western' prices and you should budget accordingly. On the other hand Bolivia is the ultimate cheap destination of South America. Although the country's recent economic progress has seen some prices and the standard of living rise, there are still bargains to be found in food and accommodation. Bolivia tends to offer the lowest prices for accommodation and the cheapest options for food and drink as well. There are certain tourist activities that you will need to take into account. For example, a popular activity is to ride a mountain bike down the so-called 'Death Road' near La Paz, which costs around USD$100 depending on the company and the quality of the bikes. A 3 day tour of the Salt Flats of Uyuni roughly costs $120, which is a steal for the incredible experience you will get. What are the most expensive and cheapest cities and regions in Uruguay and Bolivia? 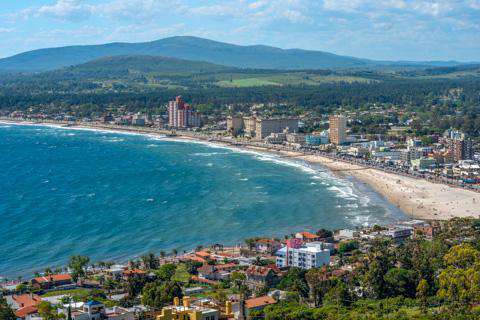 Uruguay's capital city Montevideo and Atlantic coast beach towns Punta del Este, Atlantida, Piriapolis and La Paloma are relatively expensive due to a high cost of living and tourism. Inland locations are cheaper, but not necessarily where most international visitors would visit. Salto, located in northwest Uruguay, is an exception, as it is an affordable large city, with enough attractions in and around the city to make your travel interesting. Bolivia has long been a favorite among backpackers and adventure travellers due to the simple fact that it is very affordable to travel. If you are seeking comfort, although it might not be up to "Western" standards, it is available but if you are looking to save your pennies, this may be the best place in South America. There is not much difference in prices when travelling around Bolivia. Large cities such as Sucre, Copacabana and La Paz are perhaps a little more expensive than smaller towns due to competition and increasing tourism but accommodation and food remains so cheap that it is barely noticeable. Sucre is possibly the most beautiful city in Bolivia, full of proud inhabitants, cultural expressions and colonial architecture. Copacabana is mainly a base city from where you go explore Isla del Sol at Titicaca lake. You can also find cheap places to stay. If you are in a group, you can usually get a good discount if you all stay at the same hostel. La Paz is certainly one of the most unique cities in the world, a spectacular mix of chaos and beauty. 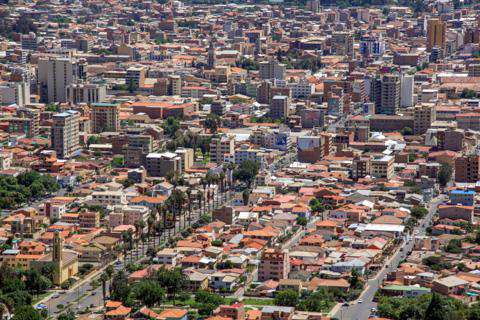 La Paz is the highest capital in the world, and it is the true face of Bolivia. How you can save money when visiting Uruguay and Bolivia? In Uruguay, save money on your food budget by shopping in the supermarkets. Also, water is sometimes as expensive as beer, or beer is often as cheap as water. In Uruguay, it pays to shop around as prices for items vary greatly. Prices can vary greatly from store to store even if they are right next to each other. Cash is King. You will get the best deals if you are carrying US dollars. Prices can easily be negotiated when a Uruguayan shop owner knows you are dealing with US dollars. Don't use your hotel's laundry service. The cost can easily work out to USD$35, which is sometimes as much as the actual hotel room itself. Check with the concierge before you send your laundry away or you might be in for a costly surprise. Tips and gratuities aren't usually included in your food bill and an average tip should be about ten percent of the food bill. However if you give them a little more, even an insignificant amount to you, which probably means a lot to the people who work in Uruguay, you will make a local friend which will save you plenty of money and time when trying to figure out local customs, as well as finding reasonably priced accommodations and other special deals. In Bolivia, the surest way to waste money is to use credit cards. First of all, you will pay an extra 3% to use them anywhere you go. Secondly, many places don't accept them. In supermarkets and stores that have price tickets on their items you cannot bargain the price down. But in most open markets it's a mistake not to. Vendors automatically increase the price as soon as they see you are foreign and expect your first reaction to be a request for a price break. Hold your line, stand firm, and be prepared to walk away if you don't like the price. After that, you'll be surprised at how prices will come down just a few seconds later. Ask the locals what is great to see. Stay on the tourist path 100% of the time and you will waste a lot of money as well as miss out on some really nice places to visit. Most museums and art galleries in Bolivia don't charge an entry fee. Check out the hundreds of great local parks and plazas that provide amazing photo opportunities. Be careful of fake taxis and other scams, especially in big cities like La Paz. Be particularly attentive to shared taxi, which are cheaper, but extremely dangerous as the driver can pick up other passengers without your permission. Research what documentation is needed to enter the country. Americans need a tourist visa to enter Bolivia along with a yellow fever card and several other documents. Tourists from other countries have different requirements but all are required something to enter. Having all the correct documents before you arrive will be a true blessing to your wallet. Getting them here can cost you more, waste your time, and potential end up getting you sent home if you don't have the documentation you need.